Omkareshwar Jyotirlinga a shiv temple on Omkar mountain an island in mid Narmada, revered Hindu temple is the center of extreme faith. 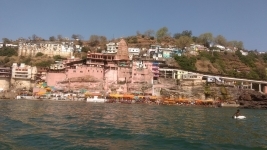 There are 12 jyotirlinga temples in world and omkareshwar is one fo them. 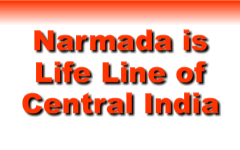 Another temple named as Mamleshwar on thr south bank of narmada is also of very importance as stated in the dwadash jyotirling strotra "omkar mamleshwaram" sounds as if the jyotirlinga in Omkareshwar is Mamleshwar temple. 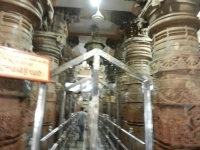 the ancient name of Mamleshwar is "Amareshwar". Most of the visitors consider both the temples as equally sacred jyotirlinga and visit them. (as these temples are not far away.). 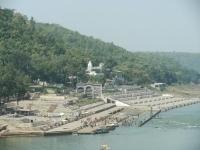 On completion of pilgrimage all the Hindus come to Omkareshwar and offer the holy water to Omkareshwar only then there visit to other pilgrimage is considered to be complete. 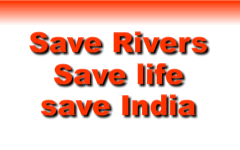 Omkareshwar is a holy city of hindus and has 100s of tamples in the city. Details of importent temples are listed bellow. Circular path around omkar hill is parikrama path, its aproximate 7KM has many ups and downs stairs . on this parikrama path there are several temples and ashrams on the way. The confluence of two rivers is also on the path. 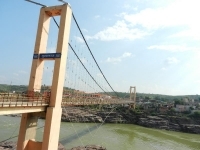 Omkareshwar is now a developed place as compare to old village type reputation, It has number of Hotels having good lodging and boarding facilities including a/c rooms and restaurents. The nearest airport is Indore (75KM), Connected by regular flights from all over India. Indore having direct flights from Mumbai, Delhi, Kolkata, Ahmedabad and measure cities . Almost most of the airlines are operating in Indore.